This is the first opportunity I have had to address pilgrims to Glastonbury as Chairman and it is a joy that those first words should be ones of welcome. Thank you for travelling to this holy place and, returning home later today, may you have an assurance that you have been one with the saints of Glastonbury, having had eucharistic fellowship with them at the altar. This thought was very much in my mind recently when I purchased a card for Easter which I decided to give to my wife: it had been produced from a photograph of sheep and lambs on Hadrian’s Wall in Northumberland. The wall once guarded the northernmost parts of the Roman Empire in Britain and had been heavily garrisoned in its time so as to prevent incursions from tribal raids. Now, of course, the wall is crumbled and decaying and the triumphs of Rome are a matter of history. The freedom of the sheep and lambs to climb those fallen stones seemed to me to be a symbol of Jesus, called the Lamb of God by John the Baptist, and his triumph over the powers of this world, particularly that power which sent him to the cross. Jesus the Lamb of God who takes away the sins of the world is indeed worthy because he is the Saviour of the world and has received from the Father all authority and kingship. This is his triumph and the reason why the One who is slain is received into our bodies and souls at the High Feast he has prepared for us where he is both priest and offering. 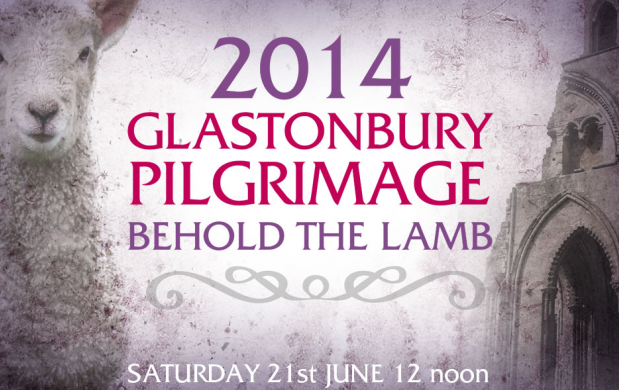 To the Supper of the Lamb at Glastonbury, then, you are most warmly welcome in the Lord’s name. We welcome, too, the Bishop of Ebbsfleet, Jonathan Goodall, as our preacher at Mass, and Canon Steven Kirk from Ystrad Mynach with Llanbradach, the Vice-Chairman of the Glastonbury Pilgrimage Association, who gives the devotional address at the afternoon liturgy. Fr Steven has had a long association with Glastonbury and it is a real joy that pilgrims from Wales can be encouraged by his words in the knowledge that this holy place can be a meeting ground for faithful Catholic Anglicans who come to witness to the faith once delivered to the saints. 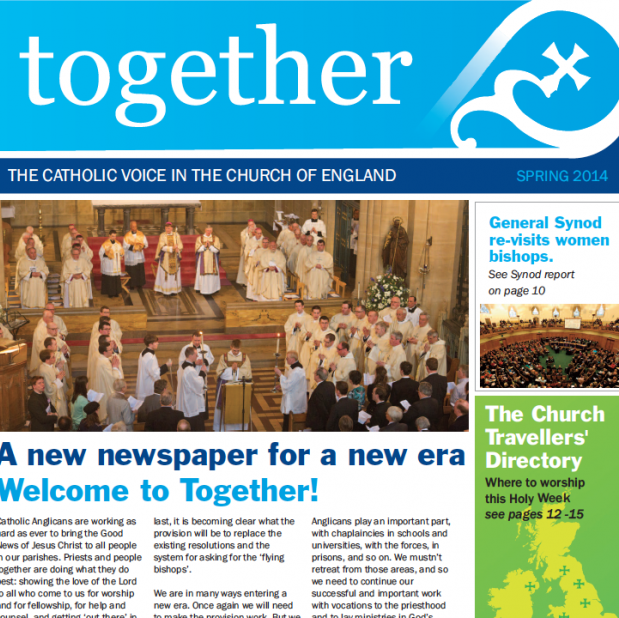 It is the endeavour of the Confraternity of the Blessed Sacrament, whose Trustees’ financial generosity we must acknowledge, to ensure that this continues to be the case so that this Annual Pilgrimage becomes a witness to our Church of the strength and vitality of the Catholic Movement in Britain. One last thing to say is an advertisement for next year’s Glastonbury Pilgrimage. We have decided to return to a date later in the summer and which coincides with the weekend of the pilgrimage of the Roman Catholic Diocese of Clifton – Saturday 11th July 2015. Please make a note of this now! We pray for the possibility of better weather as well as a renewed sense of ecumenical co-operation and helpful partnership with the Abbey authorities for whose continued welcome and hospitality we are indeed grateful. May Our Lady of Glastonbury pray for us. May the Lord Jesus Christ, Son of God and Son of Mary, welcome us to his table and feed us with the Bread of Life which sustains us in our Christian pilgrimage.